At Inspira Health Network, nursing is not only a profession, but also a passion to help others. It is a career, as well as a calling, for individuals compelled to provide care with compassion, respect and clinical excellence. It’s not surprising then that Inspira Health Network has been designated Magnet status by the American Nurses Credentialing Center (ANCC). Magnet recognition is one of the highest honors a hospital or medical center can achieve and reflects quality patient care, nursing excellence and innovation in professional nursing practice. We appreciate and value the contributions of our nursing team and strive to create a professional environment that attracts, empowers and retains the best and the brightest in the nursing field. 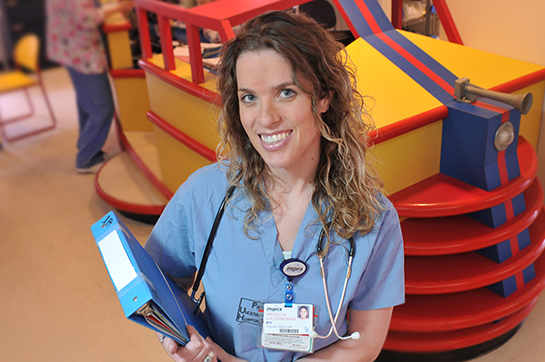 We offer our nurses a broad range of specialty areas and environments that offer more career opportunities and options. In fact, we believe that nothing quite compares to the nursing experience we offer—exciting, constantly changing and growing, and using evidence-based practice across the board. Our Shared Governance structure enables our direct care nurses to impact patient care practices through council participation. Our nurses bring leadership and expert clinical knowledge to the table that creates a dynamic, shared decision-making environment. Our specialty councils, led by direct care nurses, include Nursing Practice Council, Nursing Professional Development Council, Nursing Research Council, Informatics Council, Nursing Quality Council and Geriatric Nursing Council. Two additional councils incorporate integral groups of nursing leaders: Outcomes Manager Council and Nursing Executive Council. Each nursing unit within Inspira Health Network also supports its own Unit-based Practice Council and participates in the over-arching Coordinating Council. Inspira is pleased to provide a wealth of educational and professional development opportunities, including tuition reimbursement, pre-pay for certifications, interdisciplinary rounds and continuing education, as well as seminars and workshops. Here, we have a transparent organization with an open-door policy, transformational leadership and clear goal setting. Our nurses embrace our mission, vision and values, support each other, every day, and celebrate our individual and collective achievements with rewards and recognition. For those who aspire to a leadership role, we have nurse manager, assistant nurse manager, director and council chair positions.